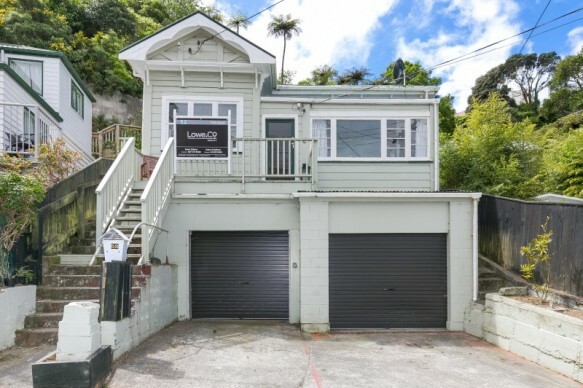 Here is a super cute villa, in a fantastic city fringe Aro Valley location, all ready for you to move in before Christmas! With 3 bedrooms (or 2 bedrooms with a second living room), easy flow to the rear courtyard, master bedroom with sun room and ensuite, and complete with 2 garages (including plenty of room for a workshop and more room to park on the drive), this is a wonderful opportunity for a young couple to get an affordable home that will be the envy of your friends. From this amazing central location, you can walk to pretty much everything, be it work during the week, or out in the evening or weekends to any of your favourite bars, restaurants, cafes or theatres on offer in our fine city. This is a really cute house, in a seriously convenient location, with a huge bonus of extremely good parking, which is hard to find in this location. Our vendors weren't planning to sell this one, but they are now based overseas, so their change in plans represents your opportunity. Come check it out for yourself and get ready to make your offer!